Looking for a huge selection of new vehicles near Nisswa? 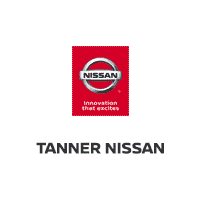 Then make your way to Tanner Nissan today and take a tour of our entire inventory of new Nissan models, including popular sedans like the new Nissan Maxima and Altima, as well as popular new SUVs like the new Nissan Rogue and popular new trucks like the new Nissan Titan. Before you come in for a test drive at our dealership in Brainerd, get a jumpstart on your new purchase by applying for financing to get pre-approved for an auto loan! FUEL EFFICIENT 37 MPG Hwy/29 MPG City! S trim. Bluetooth, Back-Up Camera, Brake Actuated Limited Slip Differential, iPod/MP3 Input AND MORE!======KEY FEATURES INCLUDE: Back-Up Camera, iPod/MP3 Input, Bluetooth, Brake Actuated Limited Slip Differential MP3 Player, Keyless Entry, Remote Trunk Release, Child Safety Locks, Steering Wheel Controls. ======OUR OFFERINGS: At Tanner Companies we offer a broad selection of new and used Chrysler, RAM, Jeep, Dodge, and Nissan Cars, Trucks, and SUVs to Brainerd, Baxter and the surrounding St Cloud, Alexandria, and Little Falls areas. We take pride in the vehicles we sell and strive to succeed in providing an outstanding customer experience. As a leading auto dealership in our community, we are dedicated to providing our customers with great service. Fuel economy calculations based on original manufacturer data for trim engine configuration. Please confirm the accuracy of the included equipment by calling us prior to purchase. SV trim. Keyless Start, Dual Zone A/C, Satellite Radio, Alloy Wheels, Back-Up Camera, CD Player, Bluetooth, iPod/MP3 Input CLICK ME!======KEY FEATURES INCLUDE: Back-Up Camera, Satellite Radio, iPod/MP3 Input, Bluetooth, CD Player, Aluminum Wheels, Keyless Start, Dual Zone A/C MP3 Player, Keyless Entry, Remote Trunk Release, Child Safety Locks, Steering Wheel Controls. ======WHO WE ARE: At Tanner Companies we offer a broad selection of new and used Chrysler, RAM, Jeep, Dodge, and Nissan Cars, Trucks, and SUVs to Brainerd, Baxter and the surrounding St Cloud, Alexandria, and Little Falls areas. We take pride in the vehicles we sell and strive to succeed in providing an outstanding customer experience. As a leading auto dealership in our community, we are dedicated to providing our customers with great service. Please confirm the accuracy of the included equipment by calling us prior to purchase. FUEL EFFICIENT 37 MPG Hwy/29 MPG City! SV trim. Dual Zone A/C, Brake Actuated Limited Slip Differential, Satellite Radio, Bluetooth SEE MORE!======KEY FEATURES INCLUDE: Back-Up Camera, Satellite Radio, iPod/MP3 Input, Bluetooth, Aluminum Wheels, Keyless Start, Dual Zone A/C, Brake Actuated Limited Slip Differential. MP3 Player, Remote Trunk Release, Keyless Entry, Steering Wheel Controls, Child Safety Locks. ======OUR OFFERINGS: At Tanner Companies we offer a broad selection of new and used Chrysler, RAM, Jeep, Dodge, and Nissan Cars, Trucks, and SUVs to Brainerd, Baxter and the surrounding St Cloud, Alexandria, and Little Falls areas. We take pride in the vehicles we sell and strive to succeed in providing an outstanding customer experience. As a leading auto dealership in our community, we are dedicated to providing our customers with great service. Fuel economy calculations based on original manufacturer data for trim engine configuration. Please confirm the accuracy of the included equipment by calling us prior to purchase. SV trim. EPA 37 MPG Hwy/29 MPG City! Dual Zone A/C, Brake Actuated Limited Slip Differential, Satellite Radio, Alloy Wheels CLICK ME!======KEY FEATURES INCLUDE: Back-Up Camera, Satellite Radio, iPod/MP3 Input, Bluetooth, Aluminum Wheels, Keyless Start, Dual Zone A/C, Brake Actuated Limited Slip Differential. MP3 Player, Remote Trunk Release, Keyless Entry, Steering Wheel Controls, Child Safety Locks. ======EXPERTS REPORT: Edmunds.com explains The Sentra is straightforward and user-friendly, with controls that don't require navigating any high-tech interface. Visibility is also quite good, and the trunk is large. It's one of the more sensible compact cars.. ======MORE ABOUT US: At Tanner Companies we offer a broad selection of new and used Chrysler, RAM, Jeep, Dodge, and Nissan Cars, Trucks, and SUVs to Brainerd, Baxter and the surrounding St Cloud, Alexandria, and Little Falls areas. We take pride in the vehicles we sell and strive to succeed in providing an outstanding customer experience. As a leading auto dealership in our community, we are dedicated to providing our customers with great service. Fuel economy calculations based on original manufacturer data for trim engine configuration. Please confirm the accuracy of the included equipment by calling us prior to purchase. SV trim. Dual Zone A/C, Brake Actuated Limited Slip Differential, Satellite Radio, Aluminum Wheels. EPA 37 MPG Hwy/29 MPG City! READ MORE!======KEY FEATURES INCLUDE: Back-Up Camera, Satellite Radio, iPod/MP3 Input, Bluetooth, Aluminum Wheels, Keyless Start, Dual Zone A/C, Brake Actuated Limited Slip Differential MP3 Player, Remote Trunk Release, Keyless Entry, Steering Wheel Controls, Child Safety Locks. ======VISIT US TODAY: At Tanner Companies we offer a broad selection of new and used Chrysler, RAM, Jeep, Dodge, and Nissan Cars, Trucks, and SUVs to Brainerd, Baxter and the surrounding St Cloud, Alexandria, and Little Falls areas. We take pride in the vehicles we sell and strive to succeed in providing an outstanding customer experience. As a leading auto dealership in our community, we are dedicated to providing our customers with great service. Fuel economy calculations based on original manufacturer data for trim engine configuration. Please confirm the accuracy of the included equipment by calling us prior to purchase. SV trim. FUEL EFFICIENT 37 MPG Hwy/29 MPG City! Dual Zone A/C, Brake Actuated Limited Slip Differential, Satellite Radio, Bluetooth CLICK NOW!======KEY FEATURES INCLUDE: Back-Up Camera, Satellite Radio, iPod/MP3 Input, Bluetooth, Aluminum Wheels, Keyless Start, Dual Zone A/C, Brake Actuated Limited Slip Differential MP3 Player, Remote Trunk Release, Keyless Entry, Steering Wheel Controls, Child Safety Locks. ======EXPERTS REPORT: Edmunds.com explains The Sentra is straightforward and user-friendly, with controls that don't require navigating any high-tech interface. Visibility is also quite good, and the trunk is large. It's one of the more sensible compact cars.. ======OUR OFFERINGS: At Tanner Companies we offer a broad selection of new and used Chrysler, RAM, Jeep, Dodge, and Nissan Cars, Trucks, and SUVs to Brainerd, Baxter and the surrounding St Cloud, Alexandria, and Little Falls areas. We take pride in the vehicles we sell and strive to succeed in providing an outstanding customer experience. As a leading auto dealership in our community, we are dedicated to providing our customers with great service. Fuel economy calculations based on original manufacturer data for trim engine configuration. Please confirm the accuracy of the included equipment by calling us prior to purchase. S trim. EPA 37 MPG Hwy/29 MPG City! Back-Up Camera, Auxiliary Audio Input, Bluetooth Connection, CD Player. READ MORE!======KEY FEATURES INCLUDE: Back-Up Camera, Auxiliary Audio Input, Bluetooth Connection, CD Player. MP3 Player, Remote Trunk Release, Keyless Entry, Child Safety Locks, Steering Wheel Audio Controls. ======OUR OFFERINGS: At Tanner Companies we offer a broad selection of new and used Chrysler, RAM, Jeep, Dodge, and Nissan Cars, Trucks, and SUVs to Brainerd, Baxter and the surrounding St Cloud, Alexandria, and Little Falls areas. We take pride in the vehicles we sell and strive to succeed in providing an outstanding customer experience. As a leading auto dealership in our community, we are dedicated to providing our customers with great service. Fuel economy calculations based on original manufacturer data for trim engine configuration. Please confirm the accuracy of the included equipment by calling us prior to purchase. IPod/MP3 Input, Keyless Start, Bluetooth. S trim, Brilliant Silver exterior and Charcoal interior. EPA 36 MPG Hwy/31 MPG City! CLICK NOW!======KEY FEATURES INCLUDE: Back-Up Camera, iPod/MP3 Input, Bluetooth, Keyless Start MP3 Player, Keyless Entry, Remote Trunk Release, Child Safety Locks, Steering Wheel Controls. Nissan S with Brilliant Silver exterior and Charcoal interior features a 4 Cylinder Engine with 125 HP at 5800 RPM*. Non-Smoker vehicle. ======EXPERTS ARE SAYING: Great Gas Mileage: 36 MPG Hwy. ======OUR OFFERINGS: At Tanner Companies we offer a broad selection of new and used Chrysler, RAM, Jeep, Dodge, and Nissan Cars, Trucks, and SUVs to Brainerd, Baxter and the surrounding St Cloud, Alexandria, and Little Falls areas. We take pride in the vehicles we sell and strive to succeed in providing an outstanding customer experience. As a leading auto dealership in our community, we are dedicated to providing our customers with great service. Horsepower calculations based on trim engine configuration. Fuel economy calculations based on original manufacturer data for trim engine configuration. Please confirm the accuracy of the included equipment by calling us prior to purchase. S trim. FUEL EFFICIENT 36 MPG Hwy/31 MPG City! Back-Up Camera, iPod/MP3 Input, Bluetooth, Keyless Start. READ MORE!======KEY FEATURES INCLUDE: Back-Up Camera, iPod/MP3 Input, Bluetooth, Keyless Start. MP3 Player, Keyless Entry, Remote Trunk Release, Child Safety Locks, Steering Wheel Controls. ======OUR OFFERINGS: At Tanner Companies we offer a broad selection of new and used Chrysler, RAM, Jeep, Dodge, and Nissan Cars, Trucks, and SUVs to Brainerd, Baxter and the surrounding St Cloud, Alexandria, and Little Falls areas. We take pride in the vehicles we sell and strive to succeed in providing an outstanding customer experience. As a leading auto dealership in our community, we are dedicated to providing our customers with great service. Fuel economy calculations based on original manufacturer data for trim engine configuration. Please confirm the accuracy of the included equipment by calling us prior to purchase. SV trim. Keyless Start, Dual Zone A/C, Satellite Radio, Aluminum Wheels, Back-Up Camera, CD Player. EPA 37 MPG Hwy/29 MPG City! CLICK NOW!======KEY FEATURES INCLUDE: Back-Up Camera, Satellite Radio, iPod/MP3 Input, Bluetooth, CD Player, Aluminum Wheels, Keyless Start, Dual Zone A/C. MP3 Player, Keyless Entry, Remote Trunk Release, Child Safety Locks, Steering Wheel Controls. ======WHO WE ARE: At Tanner Companies we offer a broad selection of new and used Chrysler, RAM, Jeep, Dodge, and Nissan Cars, Trucks, and SUVs to Brainerd, Baxter and the surrounding St Cloud, Alexandria, and Little Falls areas. We take pride in the vehicles we sell and strive to succeed in providing an outstanding customer experience. As a leading auto dealership in our community, we are dedicated to providing our customers with great service. Fuel economy calculations based on original manufacturer data for trim engine configuration. Please confirm the accuracy of the included equipment by calling us prior to purchase. SV trim. Dual Zone A/C, Brake Actuated Limited Slip Differential, Satellite Radio, Alloy Wheels. FUEL EFFICIENT 37 MPG Hwy/29 MPG City! CLICK ME!======KEY FEATURES INCLUDE: Back-Up Camera, Satellite Radio, iPod/MP3 Input, Bluetooth, Aluminum Wheels, Keyless Start, Dual Zone A/C, Brake Actuated Limited Slip Differential. MP3 Player, Remote Trunk Release, Keyless Entry, Steering Wheel Controls, Child Safety Locks. ======OUR OFFERINGS: At Tanner Companies we offer a broad selection of new and used Chrysler, RAM, Jeep, Dodge, and Nissan Cars, Trucks, and SUVs to Brainerd, Baxter and the surrounding St Cloud, Alexandria, and Little Falls areas. We take pride in the vehicles we sell and strive to succeed in providing an outstanding customer experience. As a leading auto dealership in our community, we are dedicated to providing our customers with great service. Fuel economy calculations based on original manufacturer data for trim engine configuration. Please confirm the accuracy of the included equipment by calling us prior to purchase. SV trim, Brilliant Silver exterior and Charcoal interior. Remote Engine Start, Aluminum Wheels, Bluetooth. EPA 36 MPG Hwy/31 MPG City! CLICK NOW!======KEY FEATURES INCLUDE: Back-Up Camera, Satellite Radio, iPod/MP3 Input, Bluetooth, Aluminum Wheels, Remote Engine Start MP3 Player, Remote Trunk Release, Keyless Entry, Child Safety Locks, Steering Wheel Controls. Nissan SV with Brilliant Silver exterior and Charcoal interior features a 4 Cylinder Engine with 125 HP at 5800 RPM*. Non-Smoker vehicle, Remote Start. ======EXPERTS CONCLUDE: Great Gas Mileage: 36 MPG Hwy. ======WHY BUY FROM US: At Tanner Companies we offer a broad selection of new and used Chrysler, RAM, Jeep, Dodge, and Nissan Cars, Trucks, and SUVs to Brainerd, Baxter and the surrounding St Cloud, Alexandria, and Little Falls areas. We take pride in the vehicles we sell and strive to succeed in providing an outstanding customer experience. As a leading auto dealership in our community, we are dedicated to providing our customers with great service. Horsepower calculations based on trim engine configuration. Fuel economy calculations based on original manufacturer data for trim engine configuration. Please confirm the accuracy of the included equipment by calling us prior to purchase. SV trim. FUEL EFFICIENT 36 MPG Hwy/31 MPG City! Blind Spot Monitor, Cross-Traffic Alert, Smart Device Integration, Satellite Radio CLICK ME!======KEY FEATURES INCLUDE: Back-Up Camera, Satellite Radio, iPod/MP3 Input, Bluetooth, Aluminum Wheels, Remote Engine Start, Smart Device Integration, Blind Spot Monitor, Cross-Traffic Alert. MP3 Player, Remote Trunk Release, Keyless Entry, Steering Wheel Controls, Child Safety Locks. ======EXPERTS ARE SAYING: Edmunds.com's review says Compared to much of the competition, the Kicks has a lower price, a larger cargo space and higher fuel economy.. ======BUY FROM AN AWARD WINNING DEALER: At Tanner Companies we offer a broad selection of new and used Chrysler, RAM, Jeep, Dodge, and Nissan Cars, Trucks, and SUVs to Brainerd, Baxter and the surrounding St Cloud, Alexandria, and Little Falls areas. We take pride in the vehicles we sell and strive to succeed in providing an outstanding customer experience. As a leading auto dealership in our community, we are dedicated to providing our customers with great service. Fuel economy calculations based on original manufacturer data for trim engine configuration. Please confirm the accuracy of the included equipment by calling us prior to purchase. SV trim, Aspen White/Super Black exterior and Charcoal interior. Remote Engine Start, Bluetooth. FUEL EFFICIENT 36 MPG Hwy/31 MPG City! SEE MORE!======KEY FEATURES INCLUDE: Back-Up Camera, Satellite Radio, iPod/MP3 Input, Bluetooth, Aluminum Wheels, Remote Engine Start. MP3 Player, Remote Trunk Release, Keyless Entry, Child Safety Locks, Steering Wheel Controls. Nissan SV with Aspen White/Super Black exterior and Charcoal interior features a 4 Cylinder Engine with 125 HP at 5800 RPM*. Non-Smoker vehicle, Remote Start. ======EXPERTS ARE SAYING: Compared to much of the competition, the Kicks has a lower price, a larger cargo space and higher fuel economy. -Edmunds.com. Great Gas Mileage: 36 MPG Hwy. ======VISIT US TODAY: At Tanner Companies we offer a broad selection of new and used Chrysler, RAM, Jeep, Dodge, and Nissan Cars, Trucks, and SUVs to Brainerd, Baxter and the surrounding St Cloud, Alexandria, and Little Falls areas. We take pride in the vehicles we sell and strive to succeed in providing an outstanding customer experience. As a leading auto dealership in our community, we are dedicated to providing our customers with great service. Horsepower calculations based on trim engine configuration. Fuel economy calculations based on original manufacturer data for trim engine configuration. Please confirm the accuracy of the included equipment by calling us prior to purchase. Blind Spot Monitor, Cross-Traffic Alert, Smart Device Integration, Satellite Radio. SV trim. FUEL EFFICIENT 36 MPG Hwy/31 MPG City! AND MORE!======KEY FEATURES INCLUDE: Back-Up Camera, Satellite Radio, iPod/MP3 Input, Bluetooth, Aluminum Wheels, Remote Engine Start, Smart Device Integration, Blind Spot Monitor, Cross-Traffic Alert MP3 Player, Remote Trunk Release, Keyless Entry, Steering Wheel Controls, Child Safety Locks. ======MORE ABOUT US: At Tanner Companies we offer a broad selection of new and used Chrysler, RAM, Jeep, Dodge, and Nissan Cars, Trucks, and SUVs to Brainerd, Baxter and the surrounding St Cloud, Alexandria, and Little Falls areas. We take pride in the vehicles we sell and strive to succeed in providing an outstanding customer experience. As a leading auto dealership in our community, we are dedicated to providing our customers with great service. Fuel economy calculations based on original manufacturer data for trim engine configuration. Please confirm the accuracy of the included equipment by calling us prior to purchase. Nav System, Moonroof, Heated Leather Seats. Super Black exterior and Charcoal interior, SL trim. EPA 37 MPG Hwy/29 MPG City! CLICK NOW!======KEY FEATURES INCLUDE: Leather Seats, Navigation, Sunroof, Heated Driver Seat, Back-Up Camera, Premium Sound System, Satellite Radio, iPod/MP3 Input, Onboard Communications System, Aluminum Wheels, Keyless Start, Dual Zone A/C, Heated Leather Seats MP3 Player, Keyless Entry, Remote Trunk Release, Steering Wheel Controls, Child Safety Locks. Nissan SL with Super Black exterior and Charcoal interior features a 4 Cylinder Engine with 124 HP at 6000 RPM*. Heated Seat Driver, Heated Seat Passanger. ======EXPERTS ARE SAYING: Great Gas Mileage: 37 MPG Hwy. ======VISIT US TODAY: At Tanner Companies we offer a broad selection of new and used Chrysler, RAM, Jeep, Dodge, and Nissan Cars, Trucks, and SUVs to Brainerd, Baxter and the surrounding St Cloud, Alexandria, and Little Falls areas. We take pride in the vehicles we sell and strive to succeed in providing an outstanding customer experience. As a leading auto dealership in our community, we are dedicated to providing our customers with great service. Horsepower calculations based on trim engine configuration. Fuel economy calculations based on original manufacturer data for trim engine configuration. Please confirm the accuracy of the included equipment by calling us prior to purchase. S trim. Fourth Passenger Door, Back-Up Camera, iPod/MP3 Input, CD Player, Bluetooth. EPA 26 MPG Hwy/24 MPG City! AND MORE!======KEY FEATURES INCLUDE: Back-Up Camera, iPod/MP3 Input, Bluetooth, CD Player, Fourth Passenger Door. MP3 Player, Third Passenger Door, Electronic Stability Control, Bucket Seats, Brake Assist. ======OUR OFFERINGS: At Tanner Companies we offer a broad selection of new and used Chrysler, RAM, Jeep, Dodge, and Nissan Cars, Trucks, and SUVs to Brainerd, Baxter and the surrounding St Cloud, Alexandria, and Little Falls areas. We take pride in the vehicles we sell and strive to succeed in providing an outstanding customer experience. As a leading auto dealership in our community, we are dedicated to providing our customers with great service. Fuel economy calculations based on original manufacturer data for trim engine configuration. Please confirm the accuracy of the included equipment by calling us prior to purchase. Smart Device Integration, Blind Spot Monitor, Brake Actuated Limited Slip Differential. S trim. EPA 30 MPG Hwy/24 MPG City! READ MORE!======KEY FEATURES INCLUDE: All Wheel Drive, Back-Up Camera, Satellite Radio, iPod/MP3 Input, Bluetooth, CD Player, Smart Device Integration, Blind Spot Monitor, Brake Actuated Limited Slip Differential. Rear Spoiler, MP3 Player, Keyless Entry, Privacy Glass, Remote Trunk Release. ======VISIT US TODAY: At Tanner Companies we offer a broad selection of new and used Chrysler, RAM, Jeep, Dodge, and Nissan Cars, Trucks, and SUVs to Brainerd, Baxter and the surrounding St Cloud, Alexandria, and Little Falls areas. We take pride in the vehicles we sell and strive to succeed in providing an outstanding customer experience. As a leading auto dealership in our community, we are dedicated to providing our customers with great service. Fuel economy calculations based on original manufacturer data for trim engine configuration. Please confirm the accuracy of the included equipment by calling us prior to purchase. EPA 39 MPG Hwy/28 MPG City! Remote Engine Start, Back-Up Camera, Satellite Radio, Auxiliary Audio Input, CD Player. 2.5 S trim SEE MORE!======KEY FEATURES INCLUDE: Back-Up Camera, Satellite Radio, Auxiliary Audio Input, Bluetooth Connection, CD Player, Remote Engine Start. MP3 Player, Remote Trunk Release, Keyless Entry, Child Safety Locks, Steering Wheel Audio Controls. ======BUY FROM AN AWARD WINNING DEALER: At Tanner Companies we offer a broad selection of new and used Chrysler, RAM, Jeep, Dodge, and Nissan Cars, Trucks, and SUVs to Brainerd, Baxter and the surrounding St Cloud, Alexandria, and Little Falls areas. We take pride in the vehicles we sell and strive to succeed in providing an outstanding customer experience. As a leading auto dealership in our community, we are dedicated to providing our customers with great service. Fuel economy calculations based on original manufacturer data for trim engine configuration. Please confirm the accuracy of the included equipment by calling us prior to purchase. Smart Device Integration, Remote Engine Start, Back-Up Camera, Satellite Radio. FUEL EFFICIENT 39 MPG Hwy/28 MPG City! 2.5 S trim AND MORE!======KEY FEATURES INCLUDE: Back-Up Camera, Satellite Radio, iPod/MP3 Input, Bluetooth, CD Player, Remote Engine Start, Smart Device Integration. MP3 Player, Keyless Entry, Remote Trunk Release, Child Safety Locks, Steering Wheel Controls. ======BUY FROM AN AWARD WINNING DEALER: At Tanner Companies we offer a broad selection of new and used Chrysler, RAM, Jeep, Dodge, and Nissan Cars, Trucks, and SUVs to Brainerd, Baxter and the surrounding St Cloud, Alexandria, and Little Falls areas. We take pride in the vehicles we sell and strive to succeed in providing an outstanding customer experience. As a leading auto dealership in our community, we are dedicated to providing our customers with great service. Fuel economy calculations based on original manufacturer data for trim engine configuration. Please confirm the accuracy of the included equipment by calling us prior to purchase. Tour All Our New Cars for Sale Aitkin! You’ll find a full lineup of new Nissan cars right now near Bemidji at Tanner Nissan, including a number of new vehicles specials. Get help with your budget by figuring out your monthly car payment with our online payment calculator. Our dealership is located in Brainerd, and we open at 8:00 a.m. Monday through Saturday. If you have any questions, don’t hesitate to call us at (218) 829-3597.